Home	→ Blog → HAIR EXTENSIONS → How To Choose Clip In Bangs Human Hair Extensions? All lace frontals, silk closures or full lace wigs seems not enough to fulfill endless demand on hairstyles. 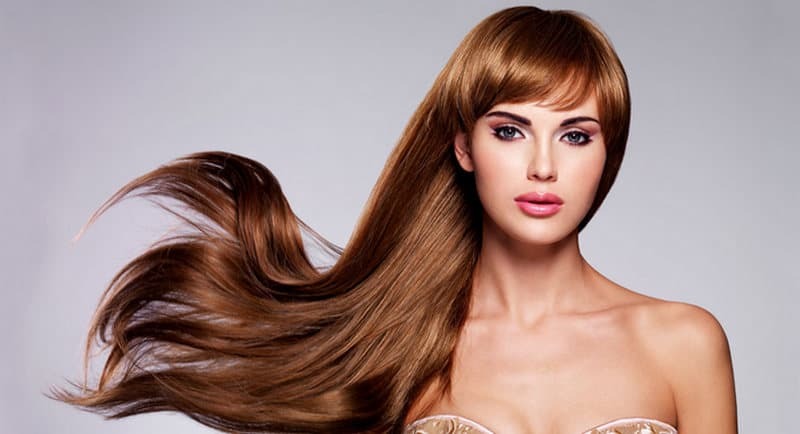 To put an end on the flawless look, we have clip in bangs human hair extensions that finish the look. For every wig lover, having clip in bangs human hair extensions is essential. It expresses the power in changing appearance in a blink. No complicated skill is needed, and all are set in a second. Why do people only make clip-in bangs? 1 Why do people only make clip-in bangs? 3 How many types of clip in bangs human hair extensions? 4 How to apply clip in bangs human hair extensions? While other human hair extensions come in many types, such as tape, lace closures, microbeads, bangs are only made with clips. Because the hair in front of the forehead is usually less dense and exposed, therefore, application of microbeads or long tape hair extensions will be recognized easily. Besides, people style generally the bangs by hands which cause damage on the adhesive and the joint. That’s the reason why clip in bangs human hair extensions is the most favorite. It’s no need to apply with tape or accessories. The new bang no longer looks stringy or unnatural flat. Clipped bangs can create specific volume so that you look like having a real hair in front. While other long human hair extensions add volume and length to the hair, clip in bangs human hair extensions give us more than usual. In 2010s hairstyles, bangs seem the most controversy treatment. Because the trend switches continuously from non-bang to bang, people hesitate on haircuts. Because the hair at the front once cut will be hard to put swept back or hidden. Moreover, it’s hard to raise long again when you cut it short. The solution here is bangs extensions. This is the instant change to get bangs without any haircut. With this little weapon, you can have the hairstyle kept in trend. For women all over the world, it’s such a brilliant offer to help them with getting the desired look. The bangs are flexible and easy to set up. Besides the haircut, another problem with a bang is treatment. Like other parts of the hair, this little bundle needs equal caring and styling. In past years, there are many hairstyles for bangs that attract women to curl or apply chemicals. For example, the wavy wept bangs seem the most popular for bobs. Wavy front hair comes in the different level of curls. Next morning, all of those can appear straight again with the help of the hair iron. Next treatment must be color. People usually prefer bang in the same color with the rest of the hair, so it takes up the same amount of chemical dying. The hair in front is delicate and thin, most of the hair strands newly grew. Thus, all treatment by heat or color destroy the texture and cause hair loss. With clip-in bang human hair extensions, you can have the bang and style them in any shape or color you want. Everything can be done with the extensions, hence, no harm on your natural hair. Should I Break My Bank Account For Expensive Curly Hair Extensions? 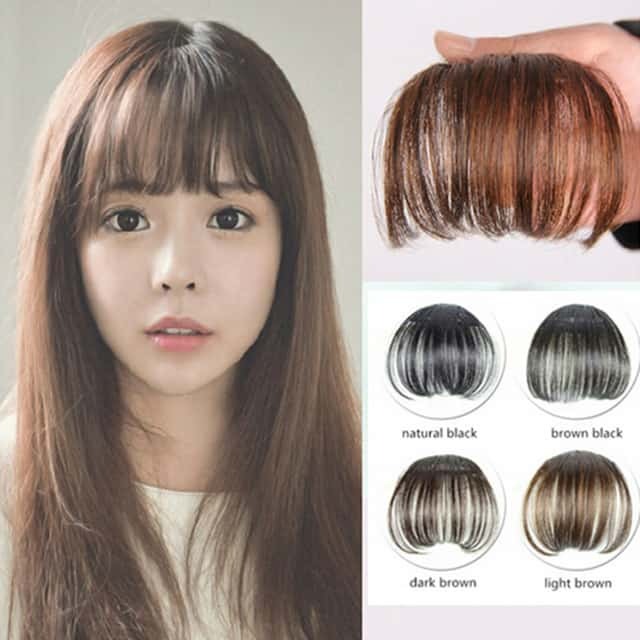 How many types of clip in bangs human hair extensions? Side-swept is the more typical category for hair bangs. It has the full bang gather toward a side of the face, and the outer always appears longer than the part on the forehead. Generally looking, this style is more natural and easy to style. With Remy hair swept bang, you can catch up with the trendy wavy fringe with a bob or long bob. Side-swept is the more typical category for hair bangs. Having bang swept back for the luxurious look, or two-sided bang seem not a bad idea. Swept bang fit the working style or parties. It expresses the angle of your face and cover up the side so that the face looks thinner. Straight across have the bang in even length. The side will be a bit longer to cover up the side hair. Straight bang looks younger and much more active. You can try some style such as super curly straight across bang or slightly curves. Straight across have the bang in even length. Remy hair straight across bangs also allow wearers to have any hair make-up. Many celebrities like Jenifer Lawrence or Dakota Johnson love the straight across the fringe. The hair makes their face look less bony. It softens the general look, especially for people who have high cheeks and long oval face. How to apply clip in bangs human hair extensions? With the side-swept clip in bang human hair extensions, you have to part the hair to three-seven or six-four. Five-five parting will not suit the bang. When you decide the hairline, clip the hair on the bigger side. Try to clip the hair as close to the hairline as possible and pull over some hair to cover the joint. That’s everything. The key is about parting correct proportion for your hair. With this style, you might have to divide the hair into two equal parts. The hairline in the middle will balance the smooth look of the bang. You can try the three-seven parting but remember to make the bigger side fuzzier. It causes natural look. With bangs made from human hair or even more quality, Remy human hair, we can take care at ease. You will look after the hair as what you have done to your natural hair. You can take off clip-in hair extensions every day so do not wear it on the bed. Linen or cotton traction can cause hair fall or tangles. Use some hair lotion and wash the hair after use. You can skip daily washing because too much washing can shorten hair extensions lifespan. 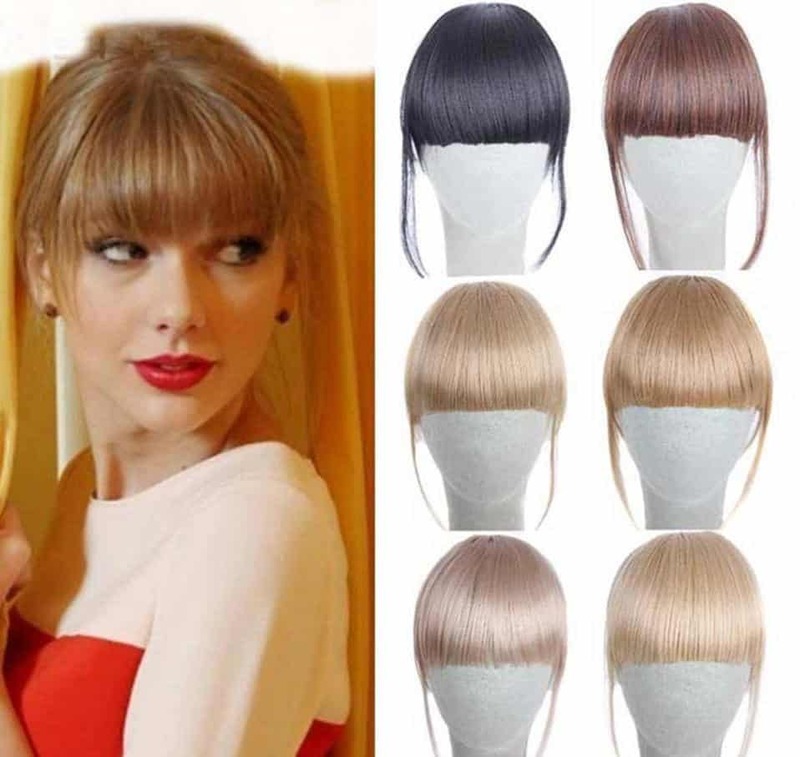 Clip in bangs human hair extensions are the real innovation on the market. It has solved any problem with the women desire for many hairstyles.